If you do a little research on the topic, you will find many individuals claiming to have made thousands, if not millions of dollars by running a dropship company. At some point, these individuals, like yourself, had to make a decision on which plugin to choose for the dropshipping site. One of the reasons that made them successful was the plugin used to run their site, which is why you should know about the options available to you and know their pros and cons. 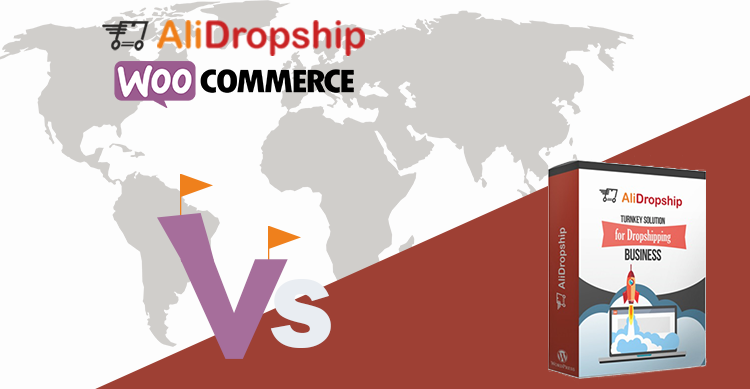 Before we dive into the details of why AliDropship WooCommerce is better than Aliexpress dropshipping plugin, let’s learn about what drop shipping means. Imagine starting an online business with WooCommerce plugin that sells coffee mugs. Traditionally, you’d have to buy a bulk of coffee mugs, store them in your inventory and make profits off each sale. However, dropshipping allows you to act as a middleman without having to maintain an inventory AT ALL. You simply set up a website that sells coffee mugs and you can start taking orders. After each order, you contact the manufacturer and ask them to ship the particular coffee mug to your customer. You neither have to worry about holding coffee mugs in an inventory nor worry about shipping. 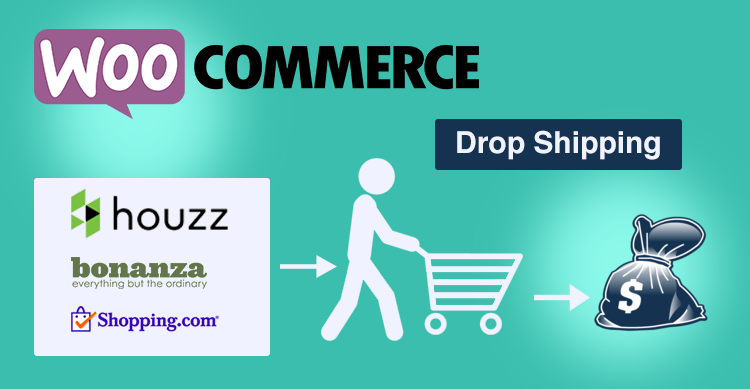 What do AliDropship WooCommerce and Aliexpress Dropshipping Plugin offer? There are striking differences between these two plugins. First, Aliexpress Dropshipping Plugin in itself is a singular platform that lets you build an eCommerce website with the ability to dropship products to your customers. AliDropship WooCommerce, on the other hand, is based on WooCommerce platform where you are not limited to the plugins that a traditional Aliexpress Dropshipping Plugin offers. You can clearly see that Aliexpress Dropshipping Plugin has limited features in comparison to AliDropship WooCommerce. However, if you are just starting out on launching a dropship company, Aliexpress Dropshipping Plugin might be a better fit for you since it still offers the basic features that a dropship site requires. But if you want to stand out from the hundreds of dropship companies with a customized look and a range of additional features, AliDropship WooCommerce is the way to go. 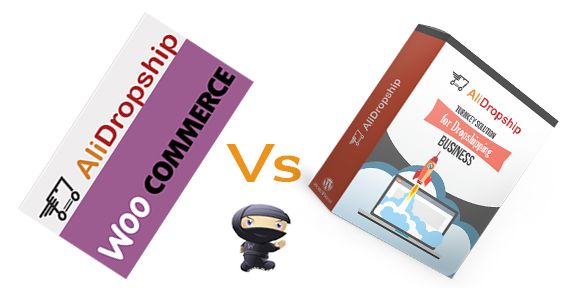 What more can you achieve while using AliDropship WooCommerce Plugin? It is a common misconception that WooCommerce plugins have limitations simply because they do not come pre-installed in a dropshipping site. However, if you take the time to search for a particular plugin, you can easily find hundreds to choose from and integrate it to your WooCommerce site within minutes! While using AliDropship WooCommerce plugin, you are not limited to what Aliexpress Dropshipping Plugin provides but you can choose from a range of WordPress plugins. You can get abandoned cart recovery WordPress plugins such as Abandoned Cart Lite for WooCommerce or use SAAS based solutions. Would you be confident to run your whole marketing campaign based on Aliexpress Dropshipping Plugin’s analytics feature? When it comes to thoroughly analyzing your store’s performance and make marketing strategies, you need something much reliable. Using a powerful WooCommerce plugin like Metrilo, you get a complete solution for WooCommerce Analytics, CRM and email automation. Don’t create a barrier by lacking different payment gateways, even when your customers WANT to pay you! A common problem that dropship companies have to face is the limited number of payment gateways that come with AliExpress Dropshipping Plugin. You can solve such problems with AliDropship WooCommerce, simply by using WooCommerce plugins such as stripe+, Square, and Mollie Payments for WooCommerce that provide numerous other payment gateways. A dropshipping site that does not support multiple languages and currencies results in potentially losing a huge part of its customer base. Unlike Aliexpress Dropshipping plugin, AliDropship WooCommerce Plugin not only helps you set multiple languages as preferred by your visitors but also multi-currency support based on the region they’re accessing your website from. Using WPML, a WooCommerce plugin, you can translate everything from products, offers, variations, categories, fields, and attributes to provide a personally customized browsing experience. Promoting your dropship site across multiple social media platform is a crucial part of digital marketing but doing it manually takes a lot of time and effort. However, you can solve this with ease by using various plugins that connect with different social media marketing automation tools running as software as service. If you’re selling multiple products on your dropship site, creating a sales funnel is a no-brainer. Not only does it increase your sales revenue, but also helps increase conversion rates. You can cross-sell and up-sell with AliDropship WooCommerce Plugin using Cart Add-ons, a powerful tool for driving incremental and intuitive purchases by customers once they are in the shopping cart. How can I add multiple channels to my dropshiping company? The ultimate goal of every seller is one simple thing – sell more products. But how do you do it? In real life, you would achieve it by displaying your products in every big retailer’s shop. Now imagine this scenario on the web. What are the leading online merchants that have high traffic? Some renowned names that come to one’s mind are Google Shopping, Amazon, eBay, Etsy, PriceGrabber, ShareASale, Affiliate Window and so forth. But listing your products across all of these merchants takes forever! What if there was a way to dropship across all of these platforms WITHOUT spending hours (if you’re lucky), if not days? Fortunately, there is a solution. And its name is ExportFeed. By using ExportFeed plugin with AliDropship WooCommerce, you can virtually create unlimited product feeds with a single plugin. You can create product feed based on your WooCommerce categories, or filter products based on price filters. This helps you implement your decision about which products do you want to display on which marketplace. This is what makes AliDropShip WooComerce plugin and ExportFeed a winning combination that helps you generate more revenue from the marketplaces. You can dropship with over 40 merchants and experience a boost in your sales figure in a short time! Click here to see it for yourself and get started on your dropshipping journey with a running start!